A teeming wilderness of amazing animals, running, splashing, flying and hiding. Jumping frogs. Rainforest armadillos. Woolly lambs. Blue-tongued skinks. Can you spot them – and count them? 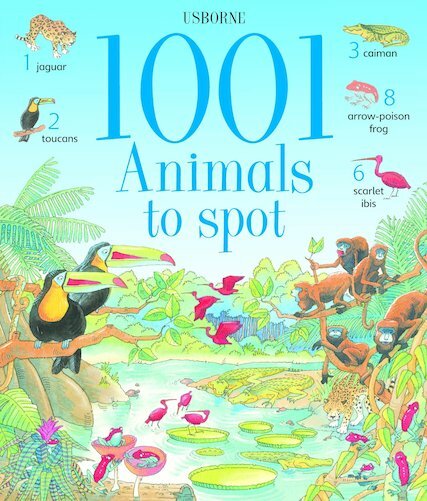 This enchanting book is stuffed with rainbow-bright scenes of natural habitats from all around the world, from country farms to swamps and savannas. There are familiar farm creatures, exotic rainforest animals and strange safari beasts. Find them. Count them and name them. Learn all about nature!